With changes in our lifestyle, diet and environment, we are now faced with a host of lifestyle diseases that are preventable if we make the right choice. A few changes to the way you live will ensure you live a healthy life. BlogAdda aims to #MakeIndiaDiabetesFree with Fortune VIVO Diabetes-Care Oil, and we’re inviting food bloggers to do the same. As the name suggests, Fortune VIVO Diabetes-Care Oil can be your best friend while managing diabetes. It’s not just diabetes friendly, but also an overall healthier option for the whole family! 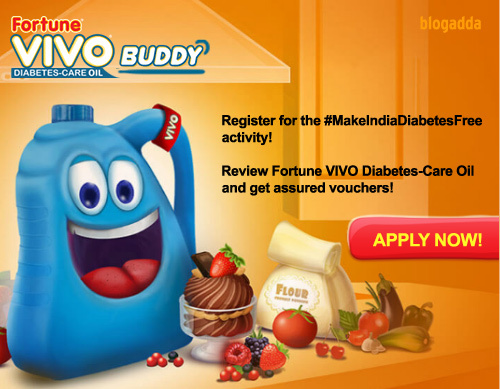 So food bloggers, apply to review Fortune VIVO Diabetes-Care Oil for the #MakeIndiaDiabetesFree activity and see its benefits for the whole family firsthand! This is a review where you’ll have to merge your creativity in the kitchen with your zest for healthy living. Once you are shortlisted, we’ll send you more details, and once you’re done with the review, we have assured vouchers waiting for you! 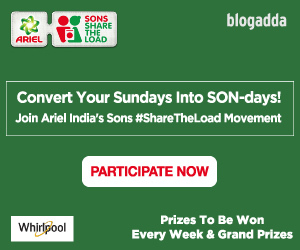 Click on the button below to apply for the #MakeIndiaDiabetesFree activity! There are limited slots open for this activity, so apply now for the #MakeIndiaDiabetesFree activity and experience the coming together of health and taste with Fortune VIVO Diabetes-Care Oil!